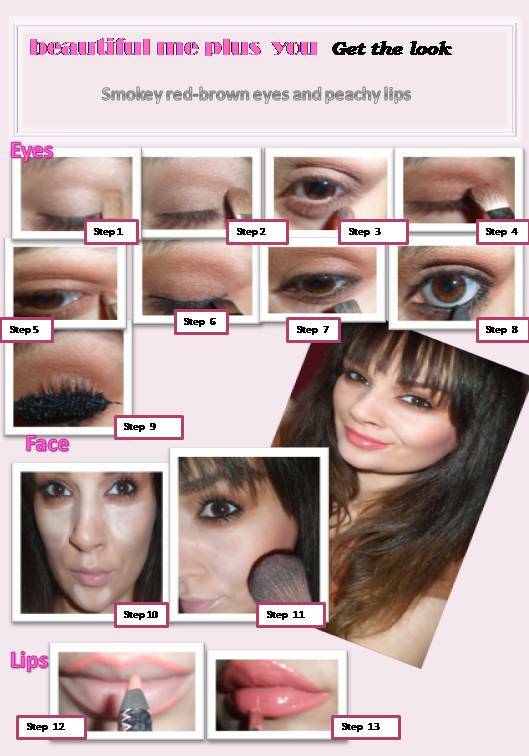 I created this look with the Makeup Forever Smokey Eye Palette. This is a limited edition palette of Autumn 2011 featuring eight highly pigmented, long-wearing eye shadows, to create a multitude of smoky eye looks, ranging from subtle neutrals to dramatic jewel tones. I actually can’t believe that I have never reviewed this palette, especially since I use it quite often. Anyways, the palette holds 8 1g creamy and rich eye shadow shades along with a mirror and two individual brush applicators - the 10 P, a flat brush for all over color and the 16 P, a tapered brush for outer V and eyeliner. Each shade is highly pigmented and easy to blend and very long-lasting. 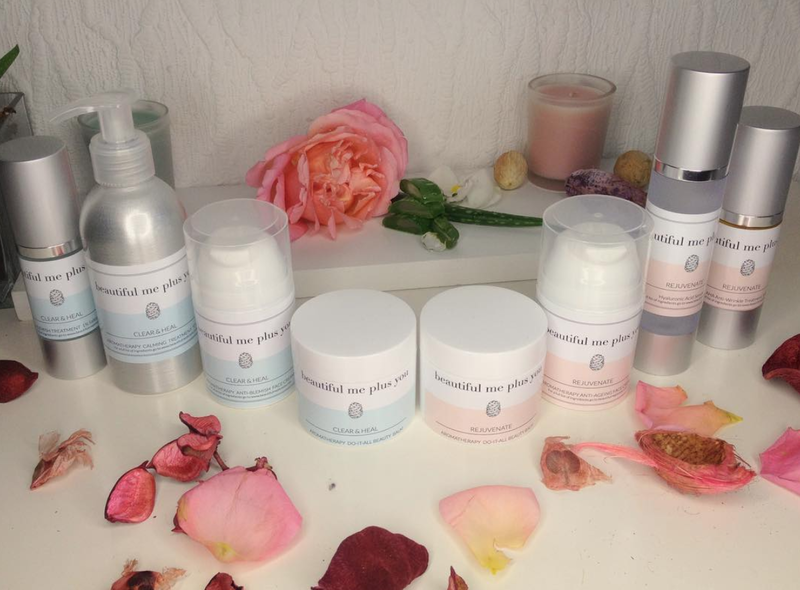 Perfect hues for all skin tones. #127 Metallic Taupe – apply to the moveable eye lid and blend inwards and outwards. Apply the same eyeliner to the lower lash line and again smudge it together with the eyeshadow. Urban decay 24/7 eyeliner in perversion applied to the waterline on the lower eyelid. Bobbi Brown Blush in Slopes – light pinky peach shade- apply just under the cheekbones and blended from the temples towards the mouth in circular motion with a fan brush. YSL Lipstick in 109 Corail’dOr - apply a peachy pink lipstick with a lip brush. And this is my favorite look created with this palette, so I hope you like it! 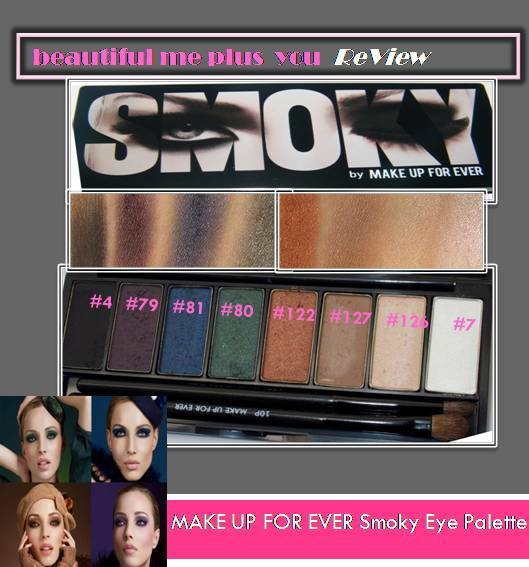 Do you have the Makeup Forever Smokey Eye Palette? What are your thoughts on it? Please let me know, in the comments!